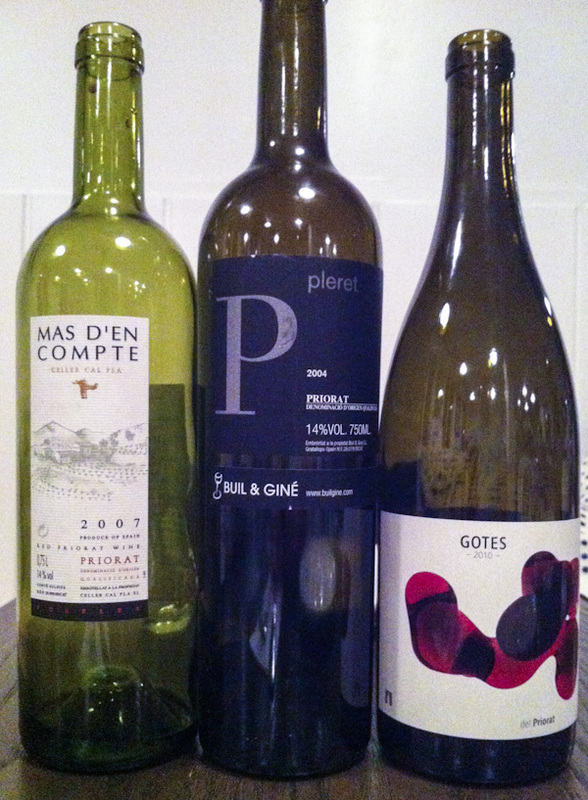 Enjoyable wine night and Mandolin was a perfect setting for our Albarino and Priorat tasting. Many thanks to Abraham and his team for arranging and the staff at Mandolin for terrific Greek cuisine with no corkage! These whites were well liked with the group noting various tasting elements including subtle fruits and minerals with a soft and easy drinkability. It should be noted that this white blind tasting had the tightest scoring noted as all wines were slightly separated with a few members in scoring with mostly above average scores. The winning Prioat was the Mas D’EN Compte 2007 with an overall score of 8.11 provided by Cohen/Jewel/Mahmoud. Second place was awarded to Plaret 2004(more info if you have a photo)and scored a 8 provided by Tennen/Hege/Gamson/Wesley as a last minuet just in time addition. Third place wine is the Gotes 2010 and scored a 6.7 provided by Smith/Mosheim/Issa. Lush full bodied wines with a fruit forward with a strong influence of Grenache coming thru. Another nice red tasting with wines that were exceptional. Hat’s off to Paul and his team for picking terrific wines to learn about and enjoy. We are getting set for our next blind tasting in September with Mahmoud/Cohen/Jewel hosting at Saad’s casa with a confirmed date of September 18th. Wine details to follow.